Moving to a new home or a new city can be an exciting time. You get to live somewhere new, decorate something new, and experience a new neighborhood. While moving is a generally positive time, it can also be tough or stressful for everyone involved, including your family dog. Dogs can become stressed for a variety of different reasons, including being in an unfamiliar and new place. When you move to a new home, it’s normal for your dog to be a little cautious, scared, or potentially even act out. We all want the best for our pets and as a result, we want to make this transition as easy as possible for our furry friends. With that in mind, this article is going to look at a few helpful tips to introduce your dog to a new home as effectively as possible. Moving day is without a doubt the most stressful day of the entire moving process. You will likely spend hours moving boxes and furniture, all while trying your best not to damage them or your new/old home. Having your dog with you on moving day will only add to the stress. They can get in the way, be annoying, or potentially even escape if you have doors constantly open for moving boxes and furniture. As a result, it’s best to find a dog-sitter or leave your pet with friends or family on moving day. Once you’re all moved in and you’ve had time to calm down after the stressful move, then you can bring your dog to their new home and start the actual process of introducing them. The first thing you should do when you bring your dog into your new home is give them a tour. Instead of simply letting them free roam, you should walk them through the home on a leash through every room. You want to give the dog some freedom, but you also want to supervise them and make sure they know the house rules. If you were to let them roam around themselves, they might become overwhelmed and have no idea where they are or what they’re doing. Of course, using a leash also allows you to avoid rooms that you don’t want them to enter. Be sure to spend an adequate amount of time in each room to ensure the dog is comfortable and calm. Also, be sure to check the entire home for potential hazards before introducing the dog to the home. This includes watching for things they could choke on, chemicals they could consume, or anything else that could hurt them. Once you’ve toured the home with the dog and let them familiarize themselves, it’s time to go outside. You need to show them the yard (if you have one), and let them investigate. This is where they’ll be using the bathroom and likely be spending a lot of time, so you want them to be comfortable with the area. In addition to simply showing them the yard, you should also try and get them to use the bathroom so they can mark their territory and become comfortable. Of course, before you let them roam around unsupervised in the yard, make sure that there are no holes in the fence or other places where the dog can escape and run away. Also, make sure that the yard in your new home is free of plants that are poisonous to dogs. Just like you change your address and get your internet plan changed, there are some things you can do ahead of time to make the move with a pet easier. This involves finding a new vet if you move cities and checking local pet laws in the area. Also, be sure that your dog has a collar with your new address on it. If he or she somehow escapes your yard, you want them to be brought back to your new address, not the old one. Moving to a new location is stressful enough; your dog isn’t going to want to deal with a brand new routine to go along with it. Feed them at the same time, take them for walks at the same time, and let them out at the same time. This will make for a much easier adjustment. The home and atmosphere may be new, but with the same routine, your dog should handle the move better. Once they are comfortable with the new house, you can begin to change their routine if need be. In addition to keeping the same routine, you should also look to keep the dog’s items the same. This includes their bed, toys, food and water dishes, and more. As we have mentioned before, the new surroundings and atmosphere will both excite and stress out your pet. If you yourself are also noticeably stressed or overly excited during the move, the pet will certainly notice. Dogs have been known to imitate their owners, so if your behavior is very excited or nervous, the dogs will be the same. As a result, it’s important to stay calm, but assertive, when taking your dog throughout your new home the first time. This calmness should hopefully rub off on your dog and make the tour less stressful and more impactful. Don’t expect your dog to be completely comfortable with their new home in a day or two. You need to be prepared for the process to take a few weeks, so be patient. Consistency is key here and you need to take time each and every day to try make their introduction as smooth as possible. As for how long it will take your dog to become comfortable in your new home – it depends. Some dogs will take longer, while others will assimilate more quickly. Don’t get upset with your dog and continue to work closely with them to make them as comfortable as possible. Once your dog is comfortable with your new home and yard, you should branch out. This is a good time to take your dog on a walk around the neighborhood. In particular, you should look to have your dog become familiar with other dogs. This will hopefully get ahead of potential issues such as territorial barking or fighting, depending on your dog’s previous experiences with other dogs. If your neighbors have dogs, you should pay a visit to get your dogs comfortable with one another. If not, they could potentially participate in fence running and aggressive behavior. While it’s important to take steps when introducing your dog to a new home, be sure to set aside special time for some TLC. Many dogs love attention and if you’re not giving it as much as it’s used to because of the move, it could increase the anxiety or stress the dog is experiencing. There is a time to be stern and there is a time to be loving. It’s up to you to decide the right amount of each. 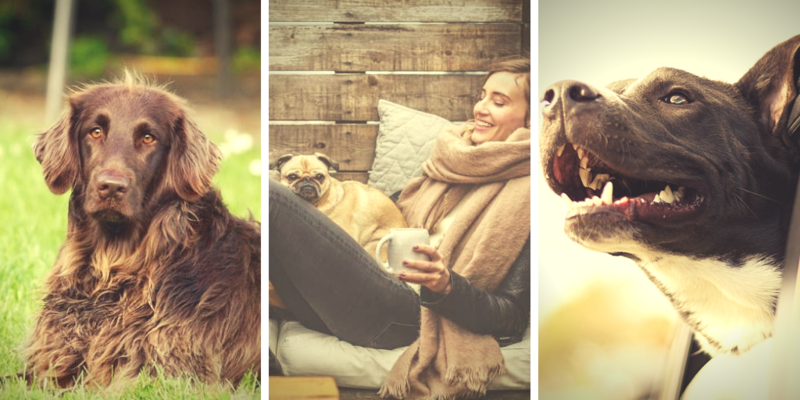 Introducing your dog to a new home can be a difficult task, but if you follow the tips in this post and give your pet enough time, they will soon begin to love their new home as much as you do. If time has passed and you’re still struggling with your dog adjusting, don’t shy away from reaching out to some experts in the space.